Think of games for seniors that do not only provide fun, but health benefits too. It may seem unbelievable thing to you, but the fact is… it is true. Yes, Wii Games are amazing games for seniors that help them to enjoy their free time while paying these games and at the same time, it provides unbelievable health benefits too. Wii Games include several game categories and in which Wii Fit is one of them. 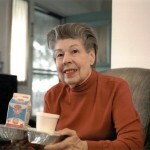 Wii Games mainly aim for providing some useful activities to seniors. The creation of Wii Fit target seniors’ health. To start Wii Fit game, firstly you should make your profile. After that you can jump to various fitness exercises and other health activities. While creating profile, you have to choose Wii. Detail for your height and age is required. 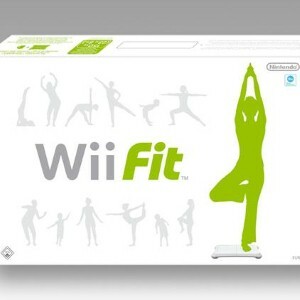 Do provide genuine information if you really want to get benefits of wii fit. After that you will be asked to give some tests that do not take much time of yours. All these tests are related to your body fitness. Once you complete these tests, you can start taking advantages of Wii Games. The Wii Fit game includes BMI Check in which the body fat gets measured up on the basis of weight and height. BMI stands for body mass index. So it is very important body test for seniors. The BMI test is a standard test which is used by various national health agencies like NIH and WHO. Apart of BMI test, age test also has great relevance. The age test is a balance test that tests current age of the user. It determines how one can make his or her control on right or left balance. The Wii Fit game features in four different categories. You can find Wii games in form of Aerobics, strength training, balance and Yoga games. 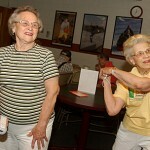 Exercising on this game, seniors can earn fit credits. These fit credits help unlocking extra exercises and activities. It also makes complete track of various activities that have been done by you. You can put those activities in the category of favorites. This way, you can track your activity in managed way. And can improve your health as per your records. The Wii fit games are amazing as it provide unbeatable range of aerobics, strength and balance training program. Involving in such game and health activities, one can improve overall health and can stay away from health illnesses that often target seniors. 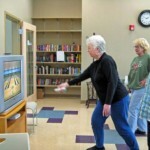 Senior people who suffer from chronic health disorders can live up a healthy life if they involve in Wii games. The aerobics exercises pump up the heart and are highly fun and rhythmic way. Strength training includes exercises for muscle toning like sideway leg lift, leg extension, torso twists etc.